I'm a spiritual journeyer and artist and have been connecting with my Spirit guides since early childhood. I connect and journey with Spirit and, through website, blog and portraits, help to inspire others to do the same. 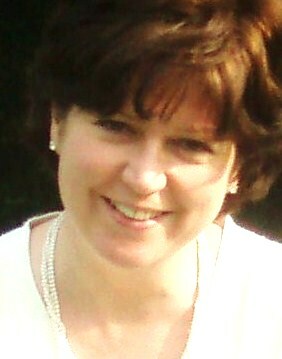 I live in rural Wiltshire UK with my husband, spiritual medium and therapist, Peter Steedman. I studied at Salisbury College of Art and later worked in TV and radio production. 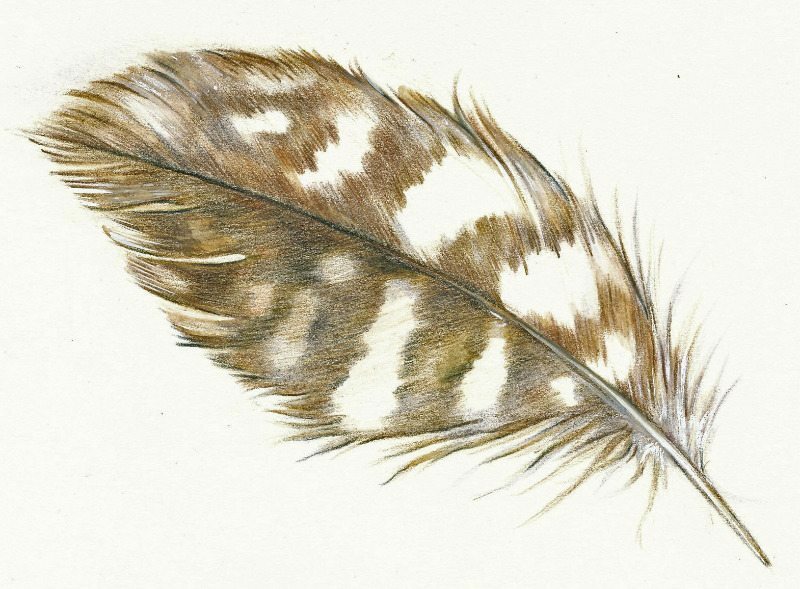 Following a period of years as a wildlife artist, I trained in clinical hypnotherapy and over a decade specialised in anxiety and trauma-based issues. Additional training included Shamanic journeying & soul retrieval, spirit releasement therapy and ancestral healing. I'm also an experienced regression therapist, having trained with psychologist and trauma/PTSD expert Christa Mackinnon, Dutch regressionist Hans TenDam, and the late Jungian analyst and past life therapist, Roger Woolger PhD. In 2006, I began adapting psychotherapy techniques to help animals with behavioural problems, and published self-help CDs to help both humans and their animals. In 2013, I returned to my creative roots with portraiture. I was inspired to draw my own Spirit guides, which resulted in the sudden and extraordinary soul recognition that triggered a complete life change in early 2014. Since then, I have focused full time on journeying and healing with Spirit, and drawing portriats of the many energies I have connected with. I was spiritually aware from an early age, having seen and talked with Jesus in my bedroom when I was 3. My guides tell me that I could see them from birth until the age of 5, when my clairvoyant abilities deteriorated suddenly. Why? Because Spirit had to refuse my desperate pleas to return Home, and a part of me was so distraught at feeling separated from all those I loved that my fear separated the link altogether. I made up for it with clairaudience and insights. Within a few years, I was experiencing déjà vu and occasional premonitions. My first past life flashback was when I was 7 and I was aware of channelling healing energy by the age of 12. I would also regularly hear the comforting guidance of my Spirit guides as "the grown up voice in my head" to help me deal with childhood fears. I recognised it as being from a Home that I had forgotten, where I would return to when I died. I also regularly astral travelled, though remember only one of these visits. I would return with answers to questions I had about the universe, reincarnation and time travel, and even with the name of my soul mate here on the earth plane, Peter. At the age of 8, after another desperate plea my soul had made to be allowed to return Home, I stood at the side of the A30 just about to step out in front of rush-hour traffic, only to hear my guide Dancing Bear's deep voice very loudly beside me saying, "If you come home, you'll have to come back and do it all over again!" I turned, fully expecting to see someone standing there, but saw no one. But his voice triggered fleeting images, memories and a wisdom of where I came from, which, though quickly fading, became my first conscious inkling of the painful self-healing path I had come here to complete. Talking about such extraordinary things (those I could even articulate) was just not possible in the environment I grew up in. This is common amongst many natural sensitives and why many lose trust in their connection at an early age. It was only the persistence of my Spirit guides and my instinctive reticence that enabled me to keep a semblance of belief in the non-physical reality that I was experiencing. By my 20s I was connecting regularly with my guides and other energies through journeying, channelling and healing, and this has continued ever since. During that time, 8 years as an animal psychotherapist (combining psychotherapy, healing and journeying with animal communication) deepened my connection with Spirit, as did additional psychic and mediumship development with my (now) husband, Peter. Drawing the first of several portraits of my own Spirit guides triggered an instant soul recognition and a complete life change in early 2014. All my work is now focused full-time on connecting and journeying with Spirit and, through this website, my blog and portraits, inspiring others to do the same. Through meditation and journeying with my guides, I've been helped to remember and heal multiple past-life traumas that were so deep they would otherwise have remained untouched. This has been very hard, but made possible through a deep trust and connection with Spirit. The success of this has enabled me to pursue a path of self-realisation, which, alongside the other joys that this work brings, is my soul's main focus. Spirit portraits really do change lives.